It’s no secret that payment card fraud is a growing problem all over the world. Between rising fraud rates and the October 2015 EMV liability shift, EMV cards and EMV-enabled terminals are now commonplace. More satisfied customers because cardholders know their card will work; this is especially important for travelers from other countries where EMV cards are prevalent. In October 2015, the liability for transactions made with counterfeit cards shifted to merchants without EMV capability in the POS systems. Failure to comply means that merchants will be held financially responsible for any resulting card-present counterfeit card losses. Eventually, all merchants will need equipment that has a smart card reader for chip cards, in addition to a magnetic stripe reader. 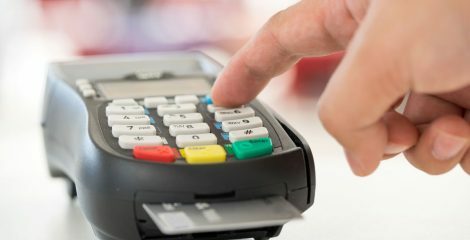 The easiest way to tell if a merchant’s terminal is EMV-capable is to see if it has a slot on the front where the consumer would “dip” their card. In order for the terminal to be fully EMV-ready, it also needs the right software application, which can be obtained by downloading it from your merchant services provider. This means that if a merchant already has an EMV-capable terminal, they shouldn’t have to buy a new terminal to accept EMV cards. Ticket size – Coffee shops can afford to absorb a few fraudulent transactions at $5 each, but a jewelry store owner would feel quite differently about the loss on a single $10,000 transaction. Customer base – Businesses that have more foreign customers and more affluent customers will have more customers with EMV cards until they are fully adopted in the U.S.
POS equipment – Businesses with a single credit card machine will find it much easier and cheaper to upgrade than a business with a multi-station point-of-sale (POS) system. Desire for new payment options – Merchants who want to accept new forms of payment, including Apple Pay and other mobile payments, can achieve these benefits at the same time they enable EMV. Business owners must balance all of these factors when deciding the right time to adopt EMV.